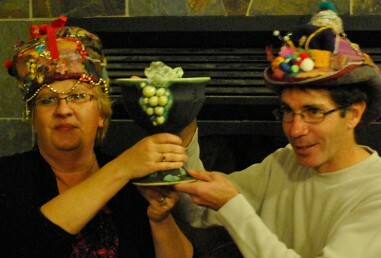 Congratulations to Kimball & Liz Lacey of Lacey Estates Winery who were crowned King & Queen of Wassail 2014 on Sunday, November 16 in recognition of their contribution to the Prince Edward County Winegrowers Association over the past year. Great job guys! Thanks for all your hard work and effort. 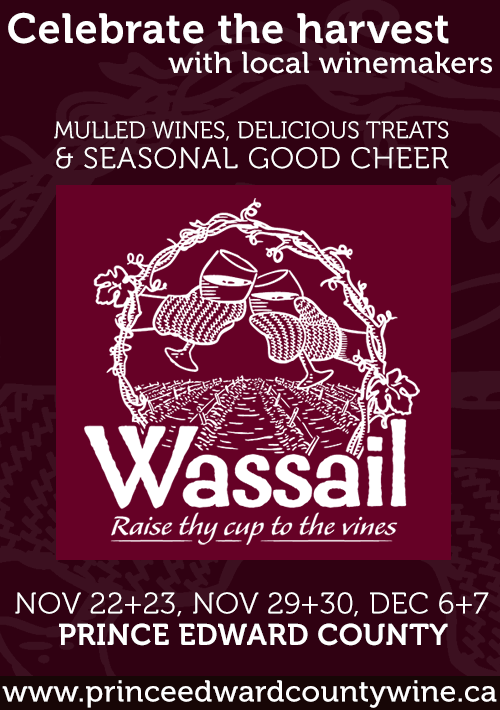 During the last two weekends in November and the first weekend of December in Prince Edward County, Wassail pays tribute to the age old tradition of celebrating the harvest before the arrival of winter. This modern version of Wassail is a fun time to visit wineries and join in the festivities. Arrive singing a seasonal tune and be treated to free tastes of mulled wine, plus comfort foods and sweet treats! Cross wine-lovers off your list with gifts of wine or wine-related items, or shop for unique, local and handmade crafts and other gifts.